Will and Kate's wedding cost around P1.7 billion. So! There's a royal wedding coming. And soon! And while the world obsesses over the details that make up a royal wedding (the dress! the cake! the flowers! ), it's easy to forget this fairytale costs something. Will and Kate's wedding came in around $34 million (P1.7 billion) back in 2011, about $2 million (P104 million) of which the royal family paid for themselves; the rest was funded by British taxpayers for security. Per Meghan and Harry's official announcement, the arrangement will be the same this time around: "the royal family will pay for the wedding," again, except for security. Now, there is reason to believe this wedding will cost far less than Will and Kate's because (1) It will take place at Windsor Castle, which can hold about 800 people, as opposed to the Westminster Abbey, which can hold up to 2,000 and (2) Harry isn't heir to the British throne (as of right now, he's #5 of the line of succession, but will drop to #6 when Kate Middleton gives birth to her third child). Still, "far less" does not mean cheap. 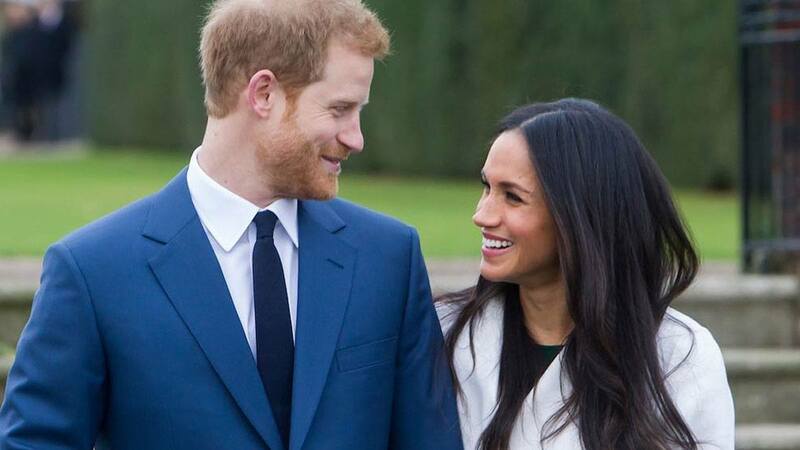 According to celebrity wedding planner (slash Kardashian party guru) and The Wedding Shop by Shutterfly's Style Partner Mindy Weiss, the royal family is looking at a cost of "approximately $10,000,000 (P520 million)"—but with the majority of those funds being allocated for security. "I do not think budget is a major concern in this circumstance," Weiss notes. London-based luxury wedding planner Aimee Dunne estimates the total a bit lower: "Given recent details of the wedding, I expect the wedding will cost somewhere between £1.5 to £2 million GBP [Ed. note: that's about $2.8 million or P145 million]," she explained. "This is excluding security costs which will alone be staggering, of course. I can't see how this type of wedding could be planned for anything less." Both agree the wedding "staple" will not be flowers or lighting, but its day-of execution. "The words 'logistics and 'timing' are never as interesting as dresses, flowers, and champagne," Dunne said, "but this is what planners spend most of their time working on and if we're doing our job properly the clients shouldn't ever really be aware!" We know about 600 people were invited to the actual ceremony on May 19. That means at least a few hundred invitations went out—Weiss puts those at about $75 (P3,900) each, not including addressing calligraphy and postage. Without the latter bits, that's ... $45,000 (P2.3 million) on invites alone. Weiss and Dunne's predictions for things people who aren't getting royally married might consider "staples" fall in about the same range: the dress ("if not provided for free," notes Weiss) will likely fall in the $250,000 to $300,000 (P13 million to P15 million) range. Flowers will go anywhere from $150,000 to $300,000 (P7.8 million to P15 million). Weiss puts the photography cost around $100,000 (P5.2 million) and Dunne allotted about $200,000 (P10.4 million) for entertainment—no note on whether or not she's heard that will be the Spice Girls. Another huge cost is for food and alcohol. Though the pair isn't paying for the monarchy-owned venue, it is their job to keep guests fed and ~libated.~ Dunne believes that alone will be $500,000 (P26 million) "at a minimum, given the vast number of guests they have on their guest list and [the] no doubt numerous glasses of champagne that will be served." What remains unclear is how Meghan and Harry want to party. As the ceremony and its preceding traditions have been set in stone, Weiss believes "the couple will have a fabulous after party that will truly be the one event that is true to them." As for all that really expensive security that's been mentioned at least six times in this post? "In terms of costs, that is still to be calculated," Senior Media Officer for the Thames Valley Police Headquarters James Williams told Cosmopolitan.com. So there you have it. Anywhere from $2.8 million to $34 million (P146 million to P1.7 billion). Fit for a queen. Duchess? Princess? Ugh, what is Meghan going to be?? Fit for royalty, let's leave it at that.